Gabriela Valencia | The PHOENIX During an on-campus demonstration last Friday, NTT, adjunct and temporary faculty threatened to strike April 4 if the university refuses to meet their demands. 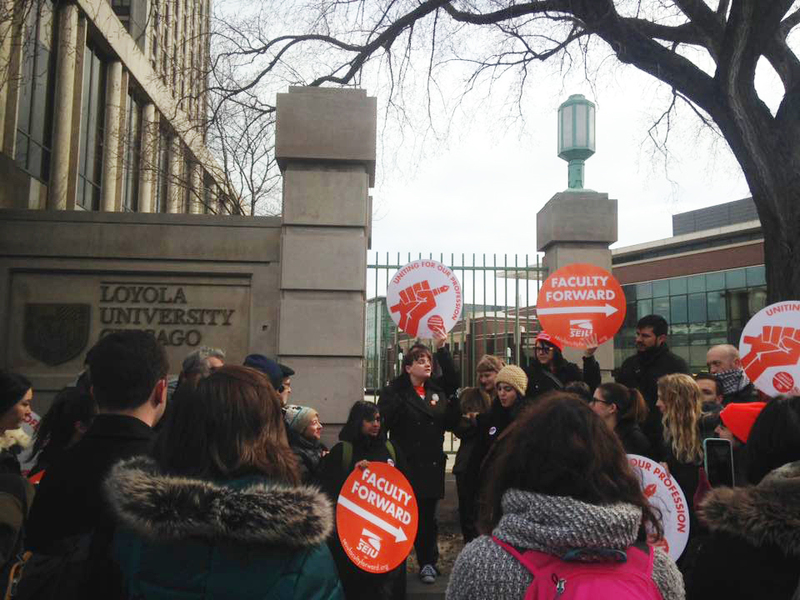 This week on The Byline: Loyola’s non-tenured faculty in the College of Arts and Sciences say they’re not getting a fair shake from the university. They voted to unionize two years ago, and now, after a long battle with the administration, have reached a tentative contract agreement. Christopher Hacker is the managing editor at The PHOENIX, where he previously worked as assistant news editor. Chris grew up in central Indiana, and in his spare time is an avid photographer and musician.